File under: Some things never change. “Honoured Sir — I wrote to you the 11th Currant but omitted Some Things which I Shall now enumerate,” the obedient son, James Otis Jr. wrote to his father, before asking for money. James Otis Jr. needed 15 shillings for belt buckles, 15 more to print his “theses,” and a little extra to put toward “any manner of entertainment” for commencement at Harvard. In a letter to his father, James Otis Sr., dated June 17, 1743, the young scholar pleaded for the money. 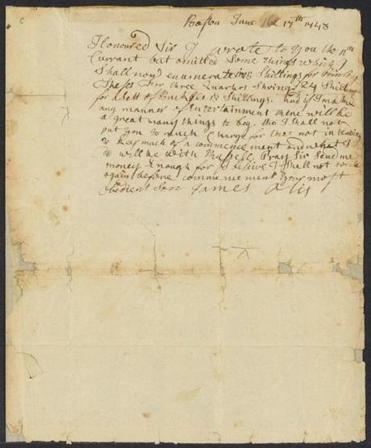 Otis’s letter is part of a treasure trove of thousands of manuscripts, notes, and other materials from the 17th and 18th centuries that have been compiled and made available online to the public. The documents are part of The Colonial North American Project, a multiyear undertaking by university archivists. The archives include musings from historic figures like John Hancock, John Quincy Adams, and the prominent Winthrop family. “It really explains the Colonial times,” Frey said. The project started in 2010, when archivists did a survey of available documents related to the lives of North American Colonists campuswide and then collected them for processing from the school’s many repositories. A year later, the digitization portion of the project began, Frey said. For now, there are roughly 150,000 pages of documents on the website, shedding light on the social lives, education, and religious beliefs of Colonial inhabitants. Images of “all known archival and manuscript materials” related to the 17th and 18th centuries from the repositories will eventually be included in the online collection, according to archivists. 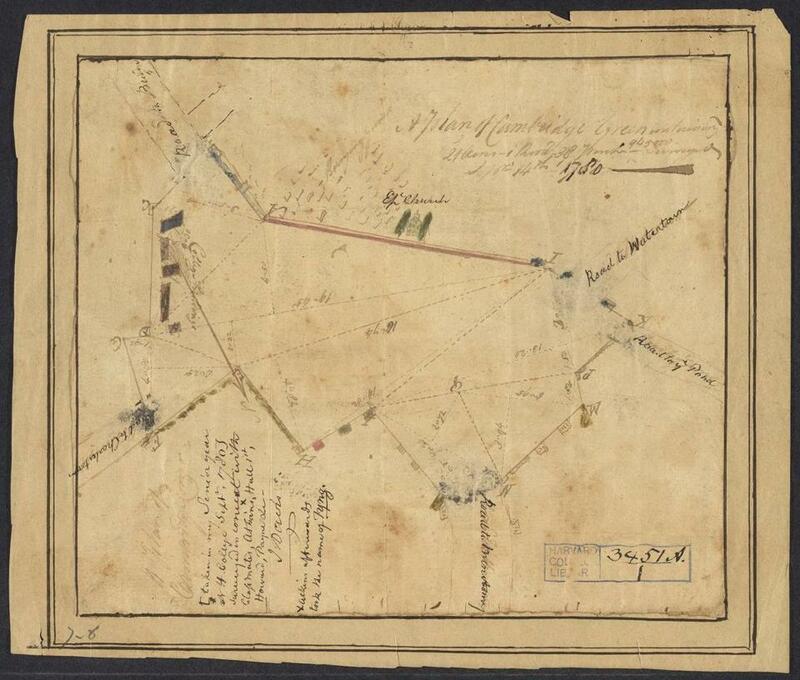 Many documents are still being processed, conserved, and digitized. 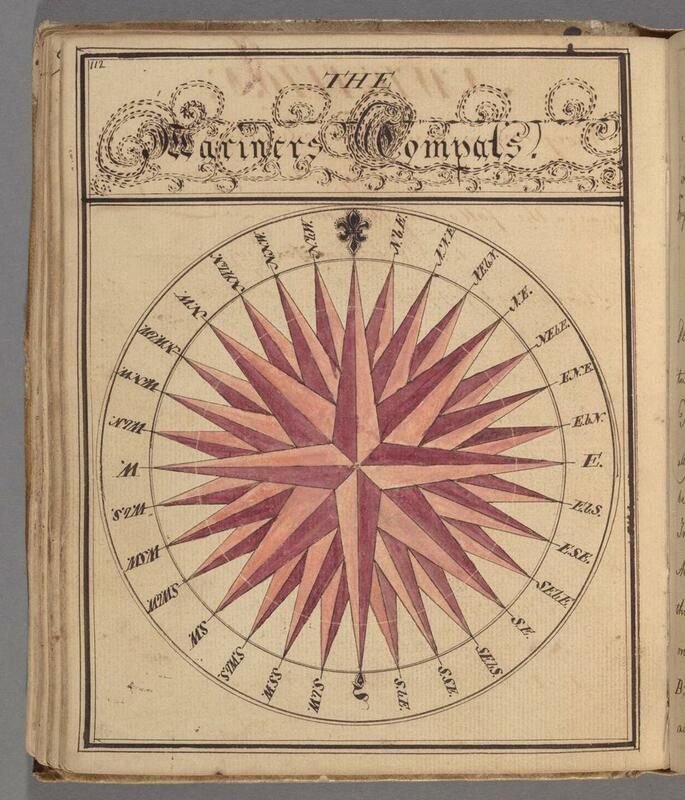 Buried deep inside the notebook is an image of a “Mariner’s Compass.” The pages that follow the image show what Frey called “meticulous” notes about ship navigation. The notes are written in clean cursive and are accompanied by sets of equations eloquently scrawled across the pages. “I really found that a fascinating way to get some insight on how students learned at that time,” Frey said. A plan of Cambridge Green, 1780. A small pen-and-ink and watercolor drawing of Cambridge Green created by Harvard senior John Davis, presumably as part of his undergraduate mathematics coursework. Letter from John Quincy Adams to his brother, Thomas Boylston Adams, 1786. 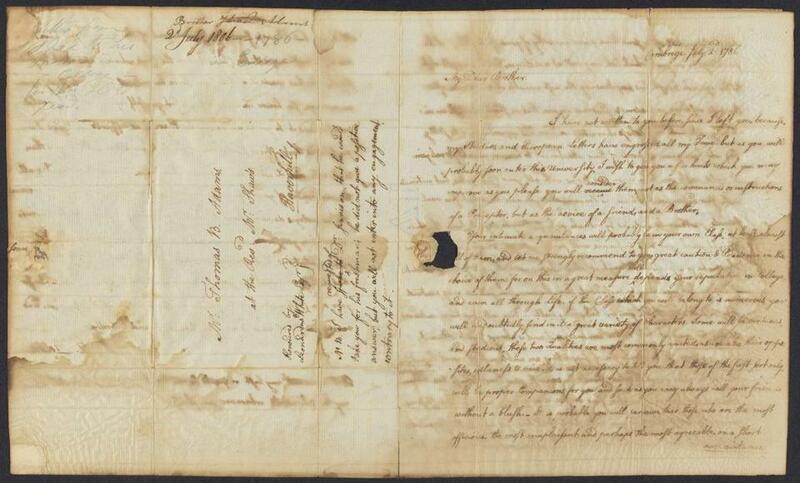 This letter was written by John Quincy Adams on July 2, 1786, to his younger brother, Thomas Boylston Adams, who was then staying with their uncle, the Reverend John Shaw, in Haverhill, Mass. In the letter, John gives Thomas advice on life as a student at Harvard. The Harvard College master of arts diploma of Samuel Mather, 1701. 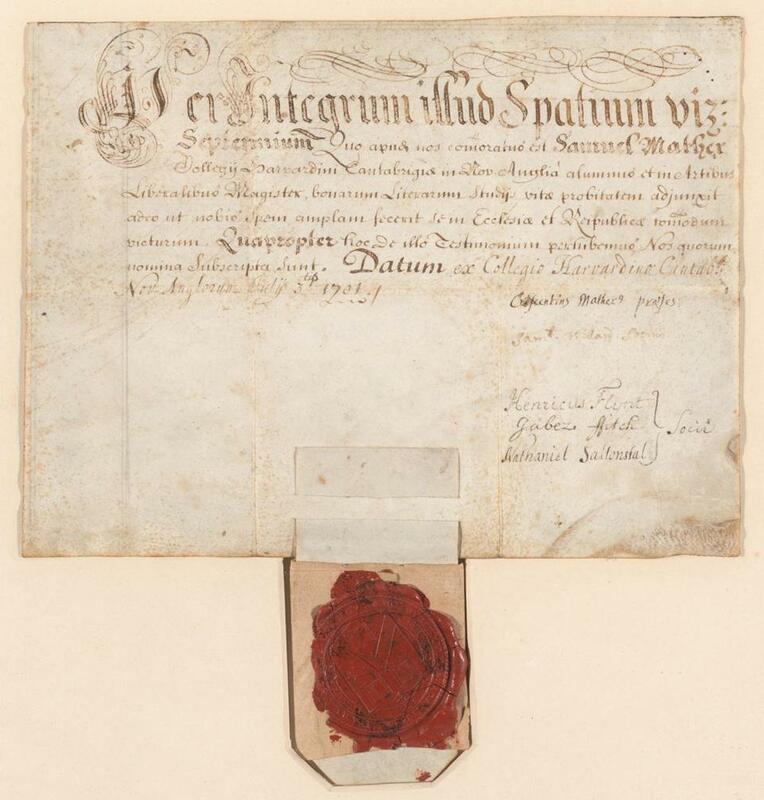 This diploma was awarded to Samuel Mather on July 3, 1701, when he received an A.M. from Harvard College. It is signed by Increase Mather (then-president of Harvard), Samuel Willard, Henry Flynt, Jabez Fitch, and Nathaniel Saltonstall.